It takes ample practice and preparation to create a flawless resume regardless of whether you’re a fresher or a graduate. Moreover, it can be confusing on what sections to include in your resume when you’re new to job search. Your motive is to ensure that your resume contains everything the recruiter needs to qualify you as the best candidate. To do so, you need to understand the information the employer expects to see on a resume and add it in the best way. You may refer to the industry best practices and review resume samples in your industry before trying to create your winning resume. A resume is a document requested by the employer that contains the technical and professional details of the candidate. The motive of a resume is to convince the recruiter there is no better candidate than you and to do so you must know what to include on a resume. In order to do create a winning resume that impresses the hiring manager, it is important to assess the job description thoroughly. Email Address: Create a professional email id, in case your personal email address is unprofessional. Phone Number: Share the easily accessible telephone number. Also, ensure that your voicemail introductory message is professional. Online Portfolio: The URL or Link to Portfolio on the Website or LinkedIn Profile is an optional way to impress the hiring manager. Also called the resume header or professional title, resume title refers to a short and concise phrase that lists the Job role you seek. Situated beneath the contact information, Resume Title must be clear and matching with the job description. When you write the title, there should be no confusion as to what to write in a resume headline. Often used interchangeably, objective and summary statements in a resume can be used together as well. Candidates must make use of both the statements in any resume format to increase the chances of your resume passing ATS tests. Career objective in a resume is defined as a direct and well-defined statement that outlines the graph of your career until now, and the direction of your professional career with the recruiter. The objective statement can be used strategically to specify your goals in a resume for working with the recruiter. A lucrative sentence that systematically lists the gist of professional qualifications that makes you the best candidate for the job role, the summary statement is referred as the profile statement too. It must captivate and impress the hiring manager to pull her or his attention to read the remnant resume. Two important ways to list your work experience in a resume is according to the job requirements and job history. Also called the Employment History, work experience is inevitable to professional resumes and often forms the pivotal focus of hiring managers as it is a qualification marker too. Entries in the work experience section must be accompanied by a bulleted description of your achievements/skills/duties, nature of the business, net worth and location with or without to the timestamp. Written in a reverse chronological order of job history beginning with your most recent employment, chronological resume also lists the timestamp to all the entries. 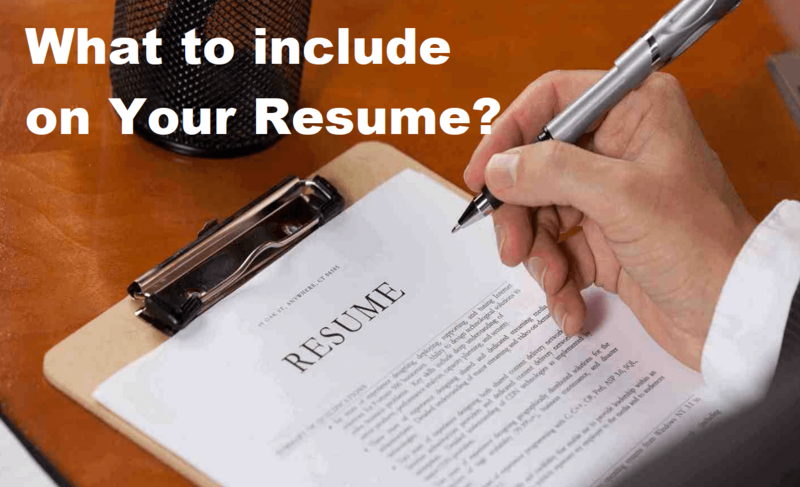 Often used by candidates with employment gaps, functional resume lists relevant employment record based on personal importance sans the time stamp with a focus on skills. A mix of Chronological and Functional Resume, Hybrid Resume is best for candidates who are required to submit an experience-focused resume. Your technical and transferable skills relevant to the job application are the best tools to prove your candidacy. Technical and computer application skills in resume relevant to each job application must be included to prove your technical background in the job under the hard skills section. Also called interpersonal skills, soft skills refer to self-acquired skills that are inherent to our personalities. Unlike duties or responsibilities, achievements section in the resume refers to quantifiable achievements from your past employment records. Depending on whether you’re a fresher or mature professional, your education section must be placed above or below the achievements, respectively. It is important to list your academic merits in the descending order with the highest degree at first. In addition, the name of the education institution, year of graduating and specializations, GPA scores must be listed in bulleted points in this section. Candidates must use matching keywords from the job description to customize the resume for every job application. Moreover, automatic resume tracking robots such as ATS qualifies resumes with at least 50% of identical keywords from the job description. Additionally, resumes with more than 90% similarity with job description are rejected too. Avoid including your professional certifications and recommendation letters to any page. If you’re sending your resume via the internet, it is best to send certifications and references after mentioning the same in the cover letter. Depending on the recruiter’s demands, candidates must include the following sections to their resume. Specifying your exceptional hobbies and interests that underline your dedication to the job is mandatory in most resumes. If you did any relevant volunteer work including military experience, it is important to mention it in the resume achievements section. Depending on whether you attained academic or professional awards, you must mention this under a separate section header or educational section. The structure of the awards section is based on the number of awards you have earned. If you’re a scientist, engineer, and writer or just technically endowed and have any papers or theses published in national or international journals, this is the best place to mention it. Provided there are not many entries, it is best to place your publications with ISBN or URLs under the Education Section in the Resume. For actors and performers, a portfolio is used, which refers to the sample collection of their work-related documents or images. Regardless of the style or format of the resume, section headers must be consistent and standardized to pass popular ATS tests. It is necessary to restructure, edit and customize your resume until you’re sure of its quality for every job that you apply to. Hiring Managers scan through hundreds of resumes each day and take but a few seconds to assess the candidacy of the profile. A good resume includes technical facts that are crucial to the evaluation process such that the recruiter waits to meet the candidate than rejecting the application at a glance!